Researchers from Neuroscience Research Australia (NeuRA)watched as parents read manuals and then attempted to correctly fit and install a child-sized mannequin in a rear-facing restraint. You have to be inflexible: it is like you don’t let kids eat poisons. Dr Lisa Keay, George Institute for Global Health. 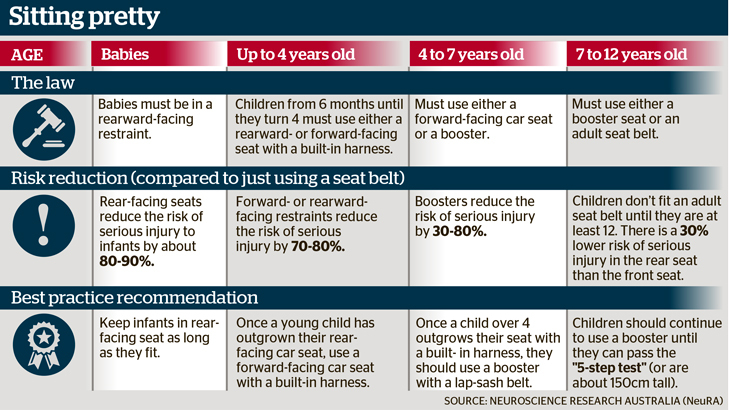 Nearly all Australian children now wear the right restraint for their age, following the introduction of national laws in 2009 and 2010. 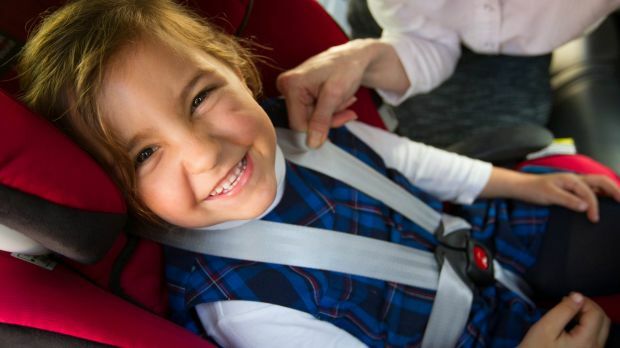 Car crashes remain a leading cause of death and disabling injuries among children, but the fatality rate for child passengers has dropped from 70 to 40 a year in recent years. When the child seat or restraint is installed or a restraint is moved from one car to another. When a carer puts a child in the car. 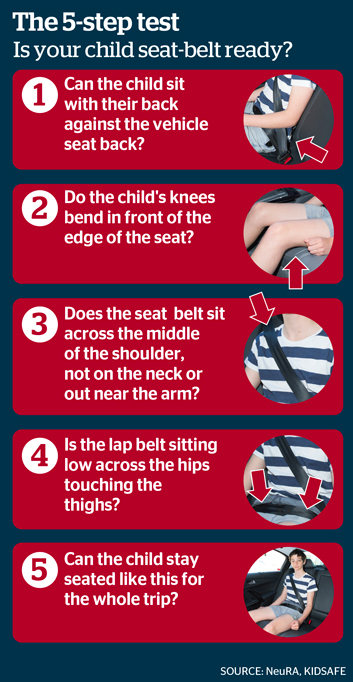 For instance, any slack in a seatbelt or harness – if you can pinch some fabric between your fingers it is too loose – may allow the child to move during the crash. Professor Lynne Bilston is a Senior Principal Research Scientist at Neuroscience Research Australia. This article was originally published in Sydney Morning Herald.